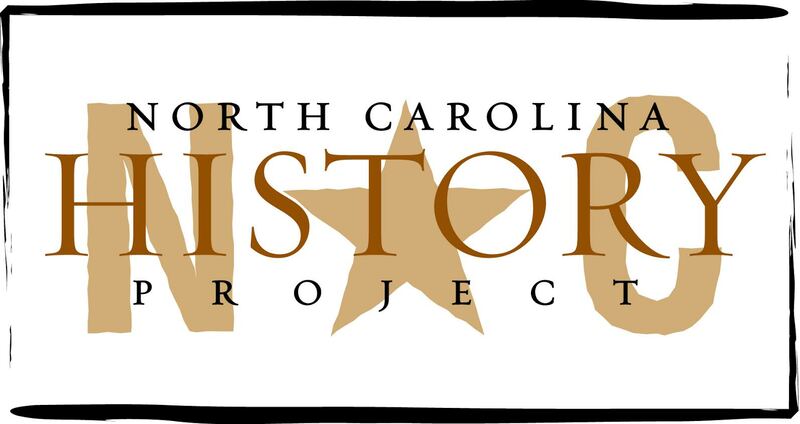 Rockingham County has several important historic and natural sites. The Piedmont county boasts the first North Carolina theater with the capability to show sound movies: Rockingham Theatre. It is also home to the Penn House, a 12,500-square-foot dwelling. Its namesake, Charles Penn, was the Vice-President of American Tobacco and contributed greatly to the development of the “Lucky Strikes” cigarette brand. The architectural history dates back to the Revolutionary War, too. The Troublesome Creek Ironworks, for instance, was the grounds for Nathaniel Greene’s troops in preparation for the Battle of Guilford Courthouse, and President George Washington later visited the ironworks to have breakfast with its founders. 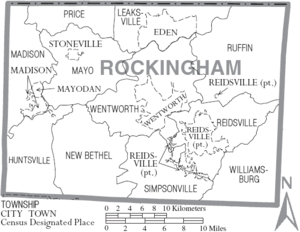 Major towns in Rockingham County include Wentworth, the county seat, and Reidsville, Eden, Mayodan, and Madison. Eden is the largest municipality, and it and Reidsville combine for approximately one-third of the county’s population. The county is bordered by the state of Virginia, to its north, and in the south, east, and west, by Caswell, Guilford, and Stokes counties. The county was named after a British Prime Minister, Charles Watson-Wentworth, the Marquis de Rockingham. Interestingly, he was the Prime Minister during the Stamp Act Crisis in 1765. County of Rockingham “County Facts” and “History http://www.co.rockingham.nc.us/ (accessed November 7, 2011); David Leroy Corbett, The Formation of the North Carolina Counties, 1663-1943 (Raleigh, reprint, 1969); William S. Powell, Encyclopedia of North Carolina (Chapel Hill, 2006).